Some companies need just a few dollars to get started. Some problems, however, need a steeper investment to get off the ground; international finance is one of them, and the vagaries of each countries banking rules lead to a compounding headache. That’s why Boom Financial, previously known by the soon forgotten moniker ‘m-Via’ has taken on a $17 million round to grow its operations. That’s not even the first stack of investment that it has taken on. Frankly, what Boom wants to do is both immensely complex, and useful. Allow me to explain. The remittance of funds, from one country to another, is a costly procedure. The fees involved can make minor transactions prohibitive – who will pay $15 to send $15? This matters more than might be apparent in a simple thought experiment. The sending of funds home from, say, the United States, to Haiti, or Mexico, is often the conduit of lifeblood that flows from employed family members to hungry youths and aged abroad. So, any ability to lower the cost of transactions is something that could have material impact on millions, the majority of which may live in difficult daily conditions. The difference in 5% more total funds might be the difference between one and two nights out for us here in the ‘States, but in a different part of the world, it can be significantly more meaningful. Anyone in the United States can sign up for an account that can send money to mobile devices in select foreign countries in Central and Latin America. They pay a yearly rate for the privilege. At $25 per annum, it’s cost effective when stacked against constant minor fees that add up quickly. Recipients of these funds can withdraw cash at specific mobile withdrawl points (non-ATMs) in rural areas, and ATMs in more populated regions. Boom takes no cut of these transfers. Of debit card transactions, the company make take a small cut, as Square might, for example. Any customer withdrawing funds with their phone in a rural area will pay a small fee. So, Boom Financial allows for the free transfer of money to other countries, tied to mobile phones, taking only minor cuts at certain exit points. It’s a win for consumers. In my old neighborhood, there was a sign on a local bank that advertised the ability to send $20 to a sibling, for only a $5 fee. Run that math yourself. In conversation with Boom, TNW learned that they soft launched their product in December, and are working to grow their penetration through a variety of methods. Those details aren’t for this specific article, but suffice it to say that the company appears prepare to spend its new funds effectively. 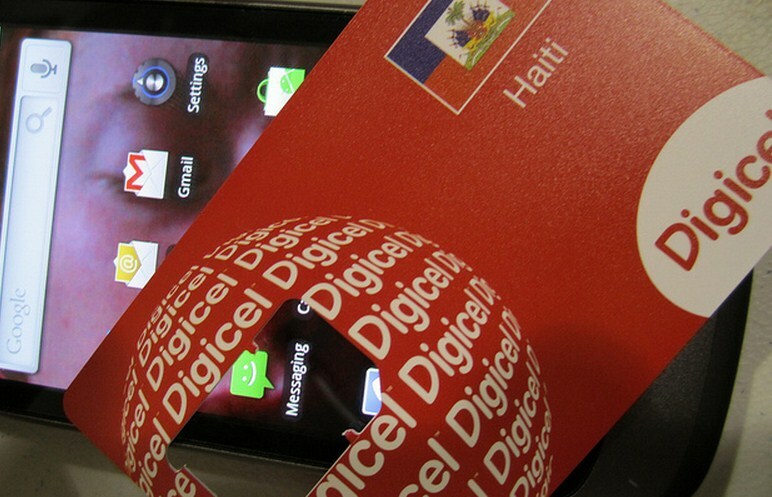 Its funding comes from Digicel Group, a leading carrier in Central American and the Carribeans. It’s both a venture, and corporate investment. The sending of money home has long been a real pain point. If Boom can solve it, more power to them. It’s high time the impoverished were not gouged trying to support their loved ones back home.